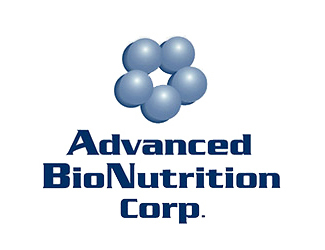 Advanced BioNutrition, headquartered in Columbia, MD, is a technology provider that is focused on offering environmentally sustainable and science-based technology solutions to a variety of industries, including human and animal nutrition and health, and agriculture. 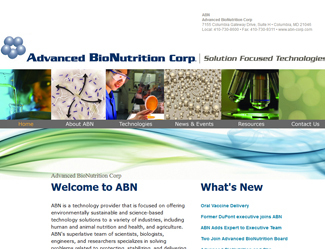 ABN’s team of scientists, biologists, engineers, and researchers specializes in solving problems related to protecting, stabilizing, and delivering active ingredients into or through food, feed, seed or industrial products. 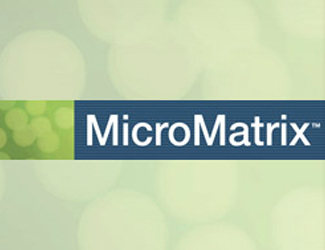 ABN is continually creating a portfolio of technologies that can be customized for use in human, animal, agricultural, and industrial applications, including animal oral vaccines, carotenoids, and dietary supplements. Sherbrooke invested in Advanced BioNutrition in 2002.